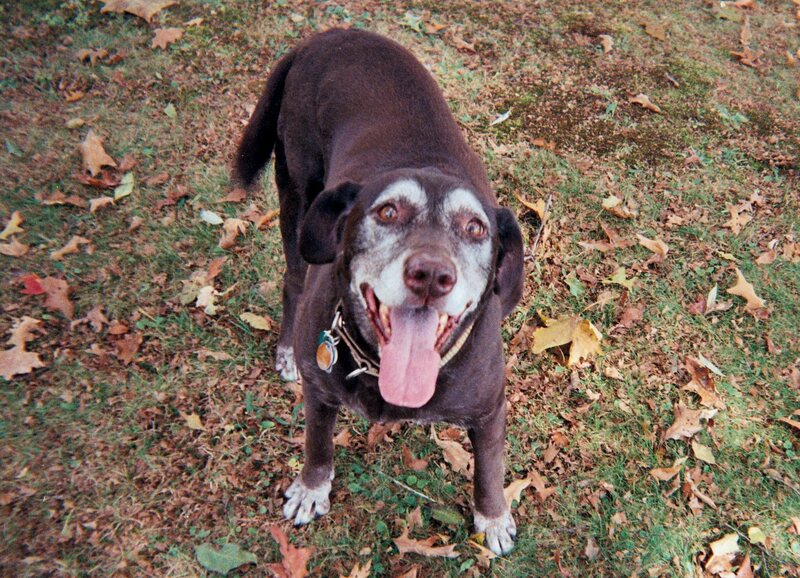 I have a 12 year-old, spayed, female, Chocolate Lab named "Coco" who was diagnosed with hyperthyroidism. Coco has lost 2.5 pounds of weight over the last 6 months but otherwise she was asymptomatic. 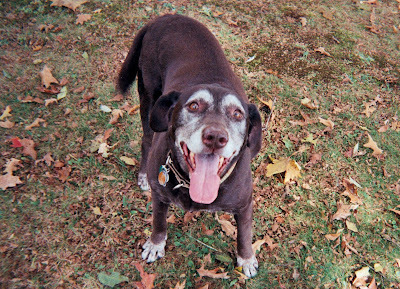 Coco's routine laboratory workup was unremarkable but her serum thyroid hormone panel was diagnostic for hyperthyroidism. The panel showed high serum concentrations of T4 (4.3 μg/dl; reference range, 1-4 μg/dl), T3 (209 ng/dl; reference range, 50-150 ng/dl) and free T4 (52 pmol/L; reference range, 10-50 pmol/L), and low serum concentrations of TSH (<0.03 ng/ml; reference range, 0-0.6 ng/ml). Do you have any information that you can share (or guide me to) regarding thyroid tumors and hyperthyroidism in dogs? I can find a lot of information about cats (you seem to be THE expert in feline hyperthyroidism), but I can not find very much information about treatment of hyperthyroid dogs. I'd love to come and see you, but I live in Western Pennsylvania and it would be a very long drive. Other than this, my Coco has always been in excellent condition/health. Most dogs with naturally occurring hyperthyroidism will have a thyroid tumor, and most of these overactive thyroid tumors will be malignant (thyroid carcinomas). Very few dogs with hyperthyroidism have benign thyroid tumors, but it looks like your dog may be one of the lucky ones. Based on the small tumor size and noninvasive nature, the thyroid tumor is likely to be either benign in the early stages of malignancy. The fact that the chest x-ray did not detect any cancer metastasis is a good sign. Additional treatments that could be considered include the use of radioactive iodine (I-131), chemotherapy, and/or local radiotherapy of the cervical tumor bed. Based on the fact that she was hyperthyroid, radioiodine would be my first choice of treatment since any residue tumor tissue should "take up" the injected I-131 very well. However, radioiodine facilities for dogs are limited, and, to my knowledge, no one in the State of Pennsylvania offers radioiodine treatments for dogs; the closest place that I know of is Michigan State University. In your dog, however, further treatment may not be necessary. By surgically removing the thyroid tumor, it's very possible that Coco has been cured. I'd certainly follow-up with another serum thyroid hormone panel in 2-4 weeks to ensure that her values have all returned to normal range. Additional thyroid testing should be done quarterly. If hyperthyroidism persists or recurs, that likely indicates local recurrence of the thyroid tumor tissue or tumor metastasis. Likewise, I would continue to monitor Coco's chest x-rays at least quarterly, again looking for tumor metastasis. If pulmonary nodules are ever detected, that could indicate thyroid metastasis and additional therapy would certainly be needed. Hopefully, Coco will be one of the lucky dogs, and her thyroid tumor has been cured. Panciera DL, Peterson ME, Birchard, SJ: Diseases of the thyroid gland. In: Birchard SJ, Sherding RG (eds): Manual of Small Animal Practice (Third Edition), Philadelphia, Saunders Elsevier, 2006;327-342. Peterson ME: Hyperthyroidism and thyroid tumor in dogs. In: Melian C, Perez Alenza MD, Peterson ME, Diaz M, Kooistra H (eds): Manual de Endocrinología en Pequeños Animales (Manual of Small Animal Endocrinology). Multimedica, Barcelona, Spain, 2008;113-125. Mooney CT. Canine hyperthyroidism In: Mooney CT, Peterson ME, eds. BSAVA Manual of Canine and Feline Endocrinology. Quedgeley, Gloucester: British Small Animal Veterinary Association, 2012;86-91.